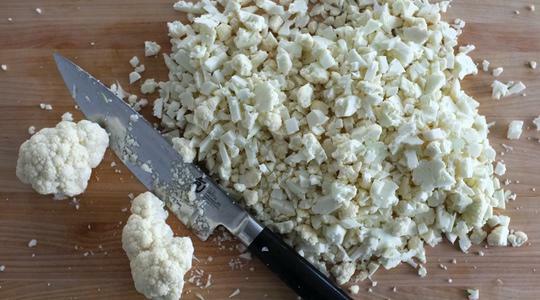 Cut out the core from the cauliflower and discard. 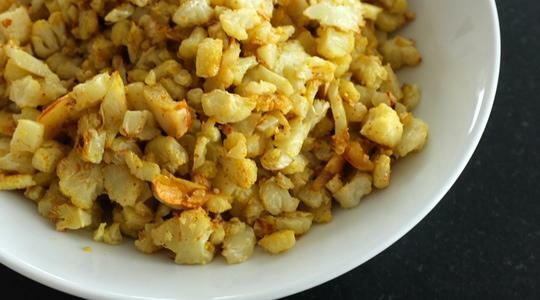 Pull the cauliflower apart into large florets. Now, using your chef’s knife, cut them up into small pieces. Place on a rimmed sheet pan. 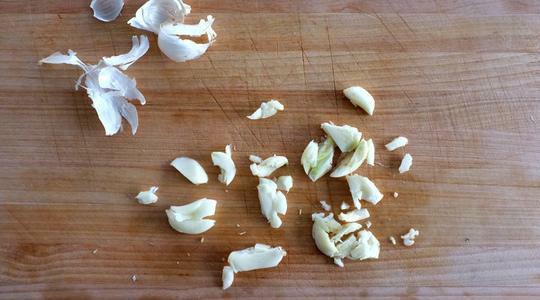 Smash the garlic into small pieces and add to the pan. 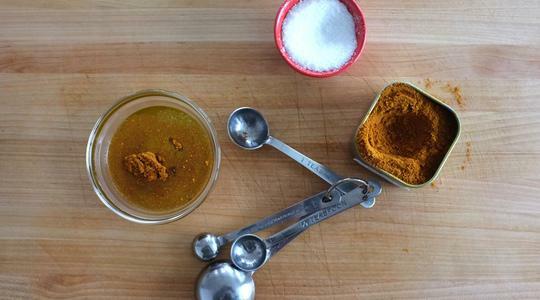 In a small bowl, combine the oil, curry powder, and salt. 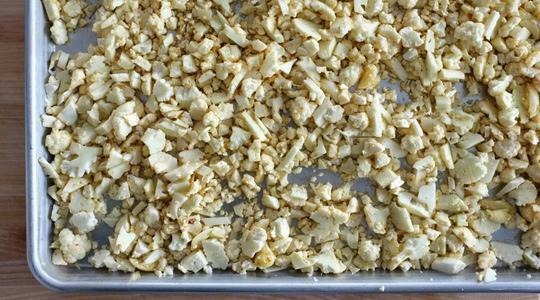 Pour over the cauliflower and toss with your hands to coat evenly. Spread into a single layer. Roast until golden tender, 30 to 35 minutes.